Mohammed Alqalisi is a journalist based in Aden, Yemen. I used to report for many organizations as France 24 English channel, fox news in new York, CBC and CBS radio. I was working at Yemen Times radio and newspaper as a presenter and producer. 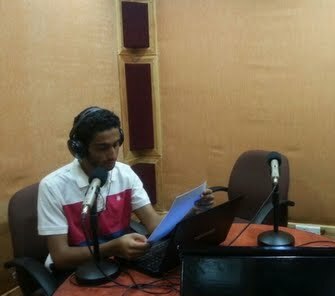 At Yemen Times radio, I was responsible for producing and presenting morning news bulletins. I am also a photographer for Several press organizations. My friendly, outgoing, open-minded and  versatile personality has given me the ability to empathize with victims in several unpleasant circumstances. This in turn has helped in putting together interesting audio packages for the listeners.